Star Wars Mr. Potato Head Just $19.99! You are here: Home / Great Deals / Christmas Deals / Star Wars Mr. Potato Head Just $19.99! Head over to Kohl’s to Order the Star Wars Mr. Potato Head on sale for $29.99!Kohl’s current promo gets you $10 off a $30 purchase! This item didn’t quite make the cutoff. I added a Yankee Candle Votive (on sale for $1.49) to get pass $30 and I got my $10 off! 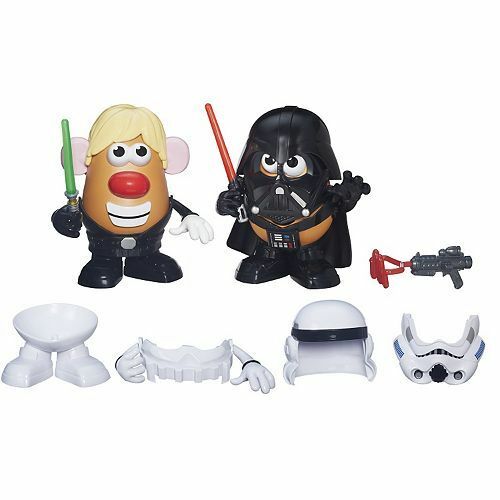 Final price for the originally priced at $50 Star Wars Mr Potato head is just $19.99! Just use promo code PRESENTS10 at checkout!